It's easy enough to nail down the very basics when designing your space such as a sofa, armchair, dining table, etc. These are the big ticket items that you'll use most often. What's more challenging is often finding the perfect accent pieces that will help define your space. Here are some fun options I've been considering lately for the main living area of my condo, they just might inspire you too. 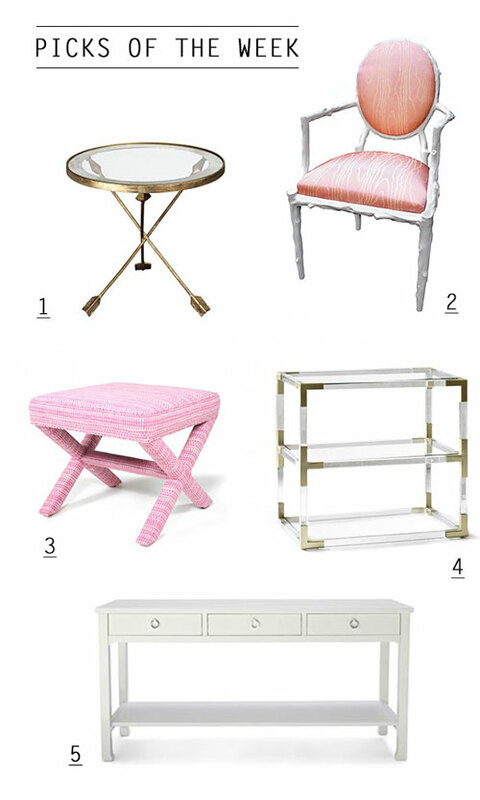 If pink, white and brass aren't your jam be sure to check our the source links below to view more pieces from these same manufacturers.